The Buffalo Trace was also known as the Kentucky Road, Harrison’s road, road to Louisville, Vincennes Trace and Buffalo Trail. It was the main route used in southern Indiana for many years. 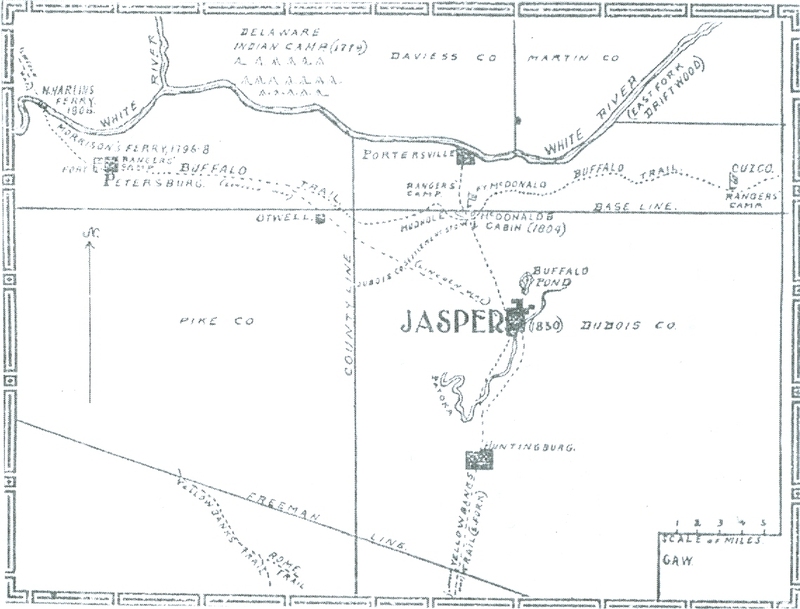 There were buffalo trails such as the Rome Trace which started at Rome, IN and led northwest about five miles south of Leopold, through Fulda and joined the Yellow Banks Trace. This Trace started at Rockport and ran north and west to join the Buffalo Trace near Otwell, IN. All of these early Traces were as well known to early travelers as our interstates are today.